for $339,000 with 4 bedrooms and 2 full baths. This 2,276 square foot home was built in 2005 on a lot size of 0.24 Acre(s). Beautiful move in ready, one story home, in the serene gated community of East Lake Cove, only 10 minutes from Medical City and Lake Nona. Enjoy everything Lake Nona has to offer without paying a high price tag! 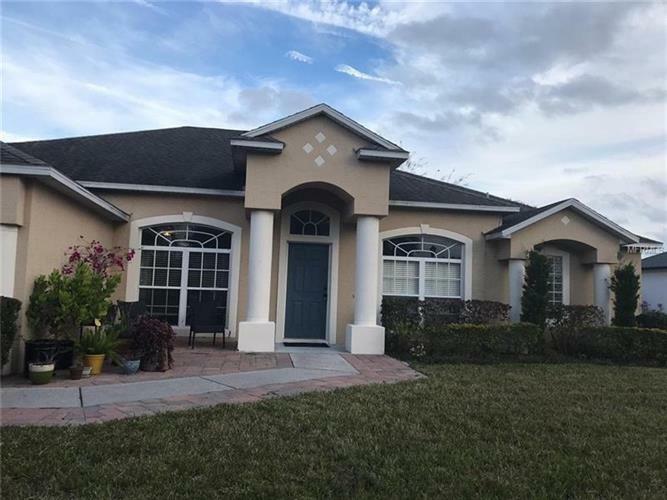 This well maintained home features a welcoming entrance into the formal living and dining rooms with beautiful ceramic tile. Split floorplan. Master suite has private door leading you out into the screened porch where you can enjoy your morning coffee. Master bath features dual sinks, stand up shower, and garden tub. The spacious kitchen/family room combo has plenty of space for entertaining. A breakfast bar and nook, closet pantry. Your spacious yard, big enough if you'll like to add a pool. Community offers a fishing pier, tennis court, basketball court, volleyball court and playground.